Man has always pondered on nature and made endeavours to learn from its principles. Aeroplanes were inspired by birds, bullet trains by the kingfisher, sonar by dolphins, and robots were designed to mimic humans themselves. We often tend to look up to nature to find solutions for simple yet complex problems. 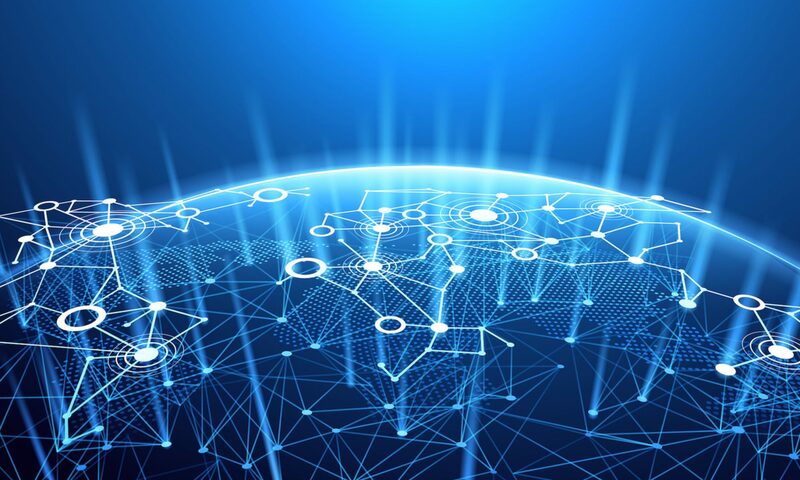 One such example that has been inspired by microbes and is proving to be a solution for numerous problems is the distributed ledger technology (DLT), popularly known as blockchain. Blockchain has the potential to disrupt nearly every industry, starting from financial institutions to manufacturing, education and power. Its relevance can be understood by a recent Gartner study that estimates blockchain will add $3.1 trillion in business value by 2030. Blockchain, which is a decentralized ledger, records transactions between two parties in a perpetual manner without the need for third-party authentication, thus creating an extremely efficient process for situations where stable data is involved. The technology provides data management without the risk of manipulation or unauthorized access, allowing critical information to be exchanged between various authorized users. For example, the adoption of blockchain in the diamond mining industry would guarantee that your anniversary gift to your wife is 100% authentic, which she may verify easily with just a click. In the power sector, the technology can ensure digitization, deregulation, decentralization, distribution, and democratization—a 5D impact. It can open possibilities ranging from peer-to-peer exchange to creating a global energy ecosystem. Decentralizing the electricity market would make energy a resource on a blockchain where people can trade power within a peer-to-peer market. Utilities and consumers can benefit from the numerous advantages of the blockchain, including lower transaction costs, network transparency and much more. Blockchain can help meet various utility industry requirements. It can act as a foundation stone with the potential to disrupt the existing industry ecosystem. With transactional security and reliability as its core capability, it can help create immutable records, strengthening systems like bill payment, solar renewable energy certificates, e-charging infrastructure and more. It can also help if a customer opts to switch utilities. Another key area is smart grids. With the promotion for e-vehicles and people moving to electric cars, supply and demand needs to keep pace. Blockchain can help in the scenario with its peer-to-peer sharing and inter-connectivity, thereby balancing the demand from multiple sources and direct sharing, making the grid smarter and modular. Blockchains can make smart meters more potent by providing accurate data to the supplier without the need for a direct link to specific users, lending more control to the end user. Over time, all electricity meters could be fitted with blockchain nodes, making them capable of plugging into a single power exchange to directly exchange electricity between themselves. It can be applied as a pilot, with reduced scope, to models such as microgrids, independent power producer settlements, grid settlements and wholesale market trading. Besides this, blockchain can play a critical role in optimizing power flows through the integration and optimization of local grids controlled by the public, private or consortium modes. It can help in the maintenance of permanent records by contractors, giving a clear view of a specific object or piece of infrastructure, as well as allowing the update of the ownership data at any given time. This information can be accessed easily as the system is built on a shared platform, while maintaining the authenticity of the record. Over the long term, blockchain can play a key role in managing distributed energy resources or virtual power plants which are, mainly, strategically clustered and dispersed assets with large electricity generators and energy storage systems. It can help operators tremendously in controlling these plants to estimate energy outflow from conventional sources, so as to minimize fluctuations. In the case of renewable energy, it can also allow them to keep a close check on the complexity of production forecast as it varies for every generation facility, thereby allowing effective participation in the energy exchange for higher revenue. While the technology is being explored and developed, it will overcome some of the key barriers, such as the requirement for higher computing power as the span of the ledger increases, reduction in the time taken to process the validation of the chain, integration with the current enterprise technology, which holds a huge database, and the need to have a conducive regulatory and reporting environment as the user community understands the use of blockchain. I am of the view that blockchain has the potential to disrupt the existing value chain for power utilities and fulfill the future vision of a distributed energy-sharing economy. Therefore, at utilities, the blockchain adoption road map should begin with an evaluation process and systematic and logical adoption decisions, keeping in mind the incremental cost and benefits. While the technology might still be away from mainstream adoption, utilities can determine the best way to leverage it to their advantage by beginning now.